The Terracotta Warriors was excavated along side other fossils in Xi'an and this remarkable historical and cultural artifacts gives it the title of “Living History”. Even with Xi'an inferior sophisticated outlook and small size to Beijing and Shanghai, it still remains a place with precious heritage sites dating back to 3000 years ago. When planning a tour to Xi'an, be sure to read about for best fun. We recommend you see Xi'an in the spring or autumn season. The weather are best conducive during this season. However, visiting Xi'an during winter season which falls in November to March is also great as it comes with a far better prices of hotels, transport and guide service fee when compared to the peak season which falls in May to October. Xi'an is indeed a place filled and blessed with lots of historical and cultural sites whose sights you will relish. Here are our list of must-see tourist attractions in Xi'an. This activity takes a total of 4 to 5 hours. The wall's beautiful picturesque and its landscaped park and moats are a plus. There's bicycles for rent too. This museum housed archeological antiques depicting the province's history ranging from the Neolithic period (15,200-4,500/2000 BC) to the Qing dynasty (1644-1912 AD). Seeing this marvelous work of art will be a mind blowing experience for you. The Terracotta Warriors site was created 2200 years ago by the Emperor for his protection as he crosses to the afterlife. They are 8000 in number. Do you want to get a view of Xi'an from the top? Then visiting the Muslim Quarter is the answer. Its is a marketplace, situated in the Muslim district with large shops and restaurants. The market is prominent for its lamb soup and kebabs. Also, panoramic view of Xi'an can be done at the Great Mosque, Drum Tower, and Bell Tower which are close to one another. Here lies the famous landmark of Xi'an, china's epitome of Tang-style pagoda. Natural escape in Xi'an includes, Mount Hau and Hukou waterfall. This particular mountain gives you an unforgettable experience. Create an unforgettable memory by walking through the planks along the mountain's cliff. You can also find religious temples and sites. Fir example, Taoist temples, pavilions, and engraved scriptures in Mount Huashan. 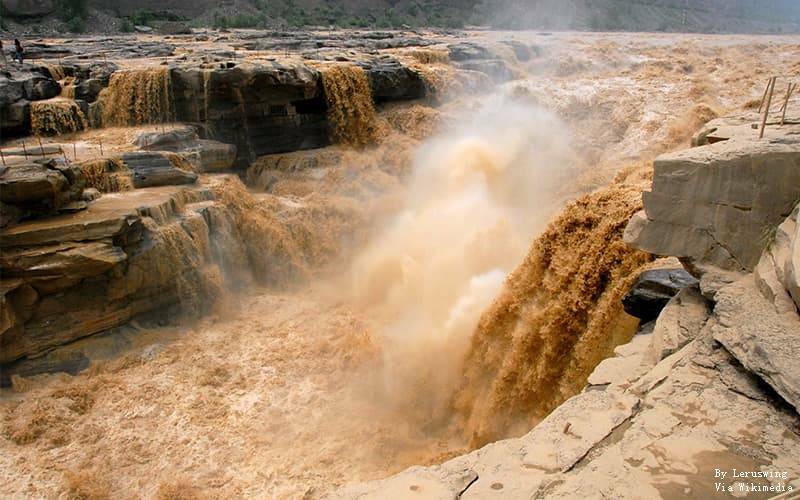 No waterfall can boast of yellow waters like the Hukou waterfall. It also ranked second in size all over China. It source is traced back to the Great Yellow water, the mother river of China. It's width is determined by the season, as it becomes 30 meters (98 feet) wide outside flood season and 50 meters (164 feet) in the season. 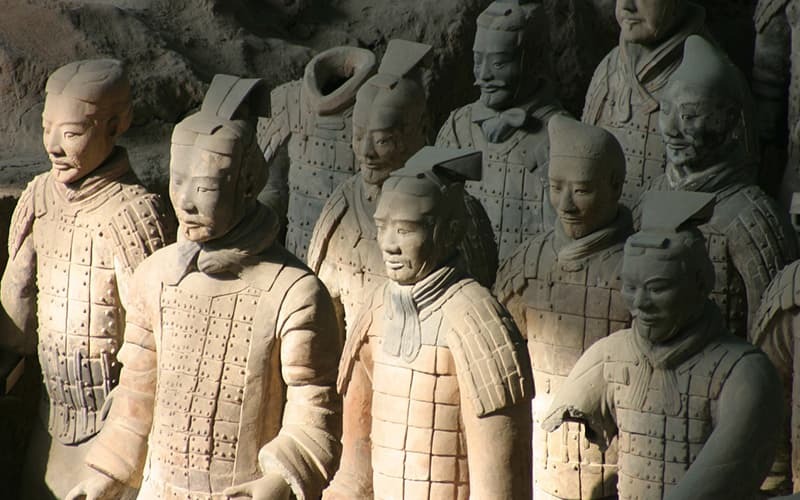 Visit the Terracotta Army: No doubt, it is a great archeological feat and one of the greatest discoveries the world had yet uncovered. Cycle or walk atop the ancient City Wall: This gives a great view of Xi'an. Admire an ancient Buddhist pagoda: Looking for peace and tranquil? Then visit here. Learn about china's History at Shaanxi History Museum: This museum is a eye candy. It housed Chinese greatest treasures and one of its biggest with over 370000 historical items. Taste the Food in the Muslim Quarter: Their lamb soup and kebabs will leave you savoring it taste all through your stay. Night Activities: Relish the scenery of the Bell Tower at night, experience the Tang Dynasty Dinner Show, take a walk in the Big Wild Goose Pagoda Square and lastly get entertained with the music fountain performance. Xi'an is widely known as the home of delicacies (local and foreign). Also, Xian is famous and popular for these particular local food which are “two banquets and two soups”. These famous banquets and soups are as follows; Shaanxi snacks banquet, the dumplings banquet and the lamb soup with pita bread, and the pig colon soup with bread. Take a walk along this street and experience a whole new food hub where only Muslim foods can be purchased. They sell many kinds of Muslim food like, skewers of lamb, chicken wings, quail eggs, bowls of noodles, mutton soup, and green bean custards. This is also a placed flushed with different varieties of food. In this district, you will find the majority of local restaurants situated in Xi'an. Categorically, a 2 to 3 day stay is rampant among tourists and travelers. However, Xi'an boasts of great and famous historical and cultural sites which can alter and change to your plans. One might not be able to get enough of these attractions. Therefore, with such little time in your hands, make sure you visit he important historical and cultural sites like the Terracotta Warriors, the Ancient City Wall, Big Wild Goose Pagoda, Shaanxi History Museum and the Muslim Quarter. Also, a 2 day Xi'an Highlights Trip covers all must see attractions incase you have just two days in your timeline. 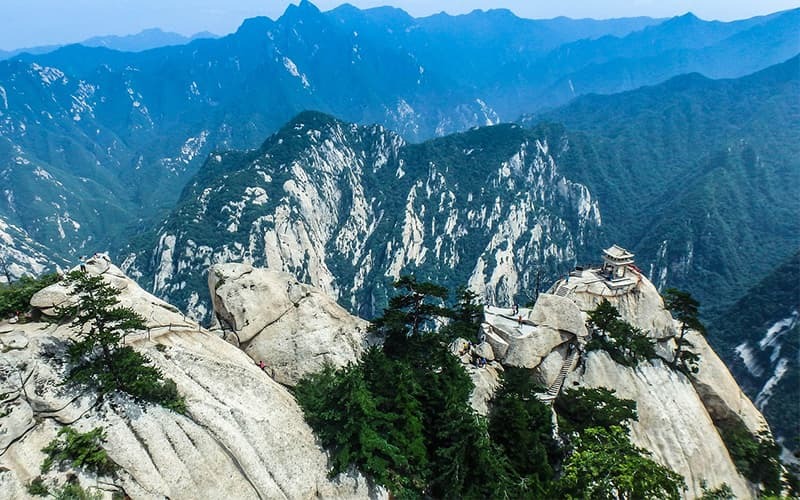 You can add flavor to your trip with a visit to Mount Huashan. It's a one in a lifetime experience. We also recommend a private tour guide. This will give you a first hand experience as well as a hassle-free journey all through your tour. 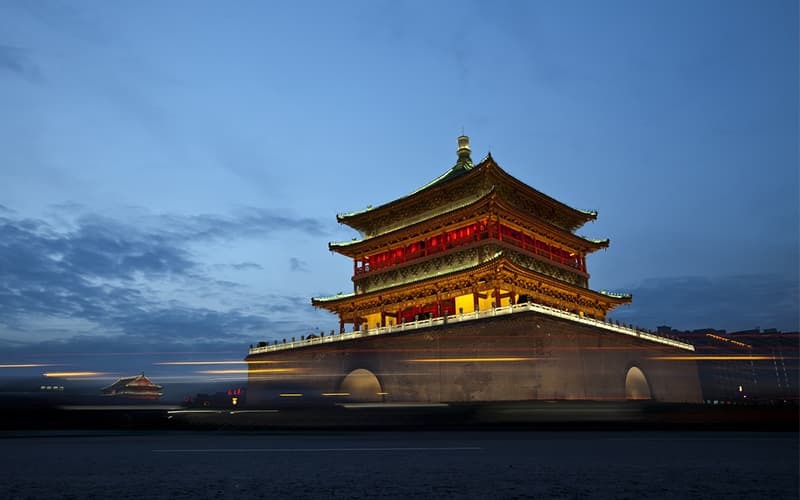 We want you to know that we are here for you as our Xi'an tours includes the top things to do and also ready to work with your requirement so as to give you the best time of your life. See these itinerary for inspiration and contact our travel consultants for a wonderful private tour!